Telenor (Pakistan) is the branch of International communication services group, named as Telenor Group. Telenor Group offers various communication services including data and voice. With its 180 million subscribers across the globe, its considered one of the largest mobile operator company. Telenor Pakistan has 36 million subscribers in Pakistan, which makes it second largest mobile operator company of Pakistan. Telenor Pakistan began its journey in March 2005, after getting GSM license in 2004.Which means that it's now well-matured mobile operator company in Pakistan. The company has invested billion dollars in their business, not only for advancement and providing better services to their users but also in local economy. As the company has created lots of career opportunities. The following bundles can be subscribed and used under TalkShawk package only. The following bundles can be subscribed and used under Djuice package only. 300MB* for WhatsApp and Facebook only. 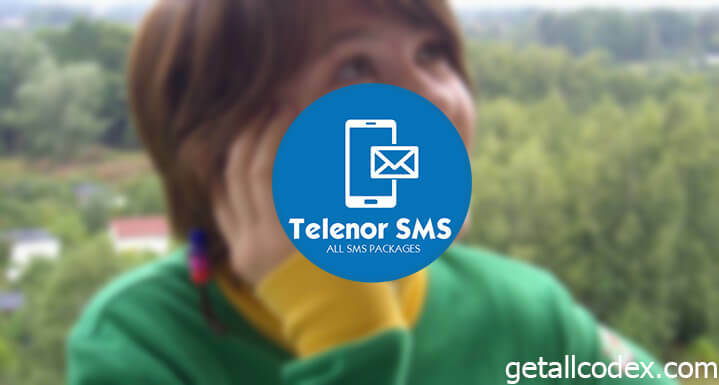 Hello dear readers, hopefully, you have liked our research on Telenor SMS bundle. We have tried our best to make this post simple and effective. Also tried to cover all SMS bundles offered by Telenor. At Getallcodex, we make sure to produce quality and user-friendly content, also committed to providing required information without any hassle as our readers are the backbone of this blog. You can subscribe our newsletter services get offers like this directly in your inbox. To subscribe use the newsletter widget in the footer section of this blog. If you are facing any problem regarding this post, want to request something which is missing in this article or want to give feedback, you can comment below thank you.